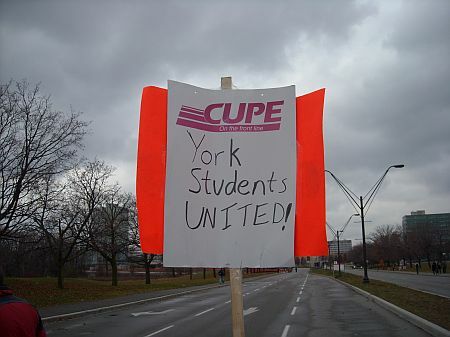 Fortress Of Freedom Board :: View topic - Strike At York University! 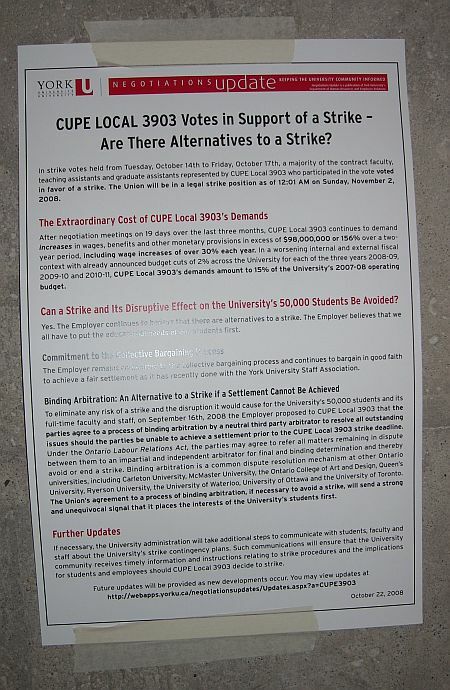 Posted: Sat Nov 15, 2008 10:25 pm Post subject: Strike At York University! 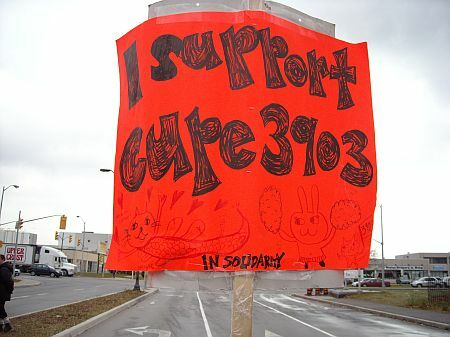 One of the many signs at the strike. 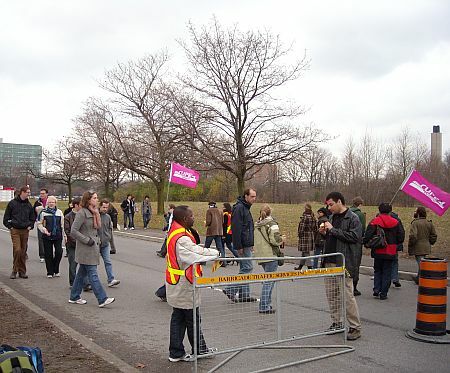 The Fortress newspaper is based at York University and so we offer this pictorial of a strike at the university by the teaching assistants on Friday, November 14. 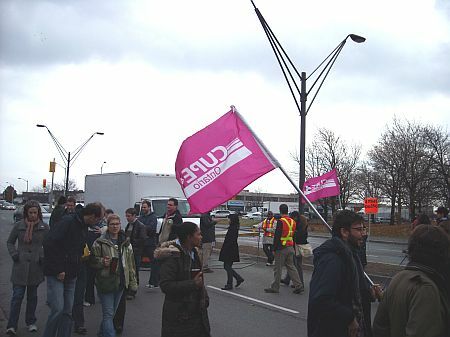 2008 in Toronto, Canada. WE at FOF thought they were getting bad press in the media and would like to state that while their demand for more than the 11% pay rise over 2 years is high in the credit crunch days their salary of about $16,000 is very low and they deserves a raise. 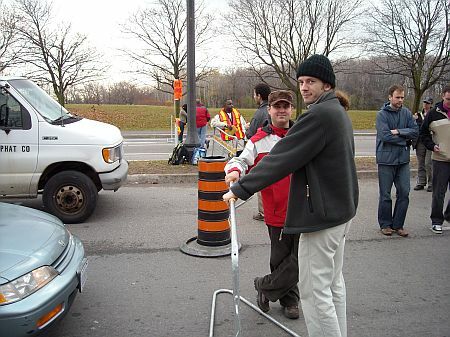 This was one of the many blockades at each entrance to the university. Cars were let in one at a time at specific intervals. More action at the barackade! 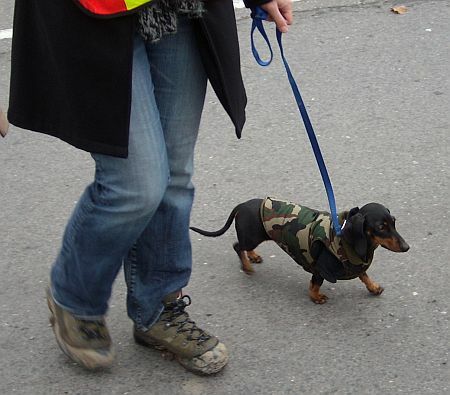 One of the more colorful supporters walks the line! This lady was handing out literature on the TA's position in the dispute. Here's a new one for you, Maurice helping out with some photos as I shot the event!